What does it mean immersive environment? An immersive environment is a special kind of experience in which the user feels itself more engaged. In these scenarios, users enjoy experiences that tend to involve as many senses as possible with the aim to create a great sense of presence. For the creation and development of this type of solutions are used different types of solutions and technologies such as sensors and virtual reality. How actual is Virtual Reality? 2016 was claimed as the year of virtual reality. After having been for some time a place of experimentation and research have begun to appear on the market commercial devices accessible on a large scale as the Oculus Rift, VIVE HTC and Samsung Gear. How can I use Virtual Reality for my purpose? The actual use of virtual reality and its technologies are very wide and range from the gaming market (video games, movies, cinema), medical-therapeutic purposes (rehabilitation, rehabilitation) till to dedicated scenarios and services such as training and entertaiment. Augmented Reality (AR) refer to the enrichment of human sensory perception through the disposal of information that would not be perceived through the five sense but made available through multimedia support. Mixed Reality (MR) was designed to obtain greater mobility and freedom of expression in immersive environments. This term refer to situations and scenarios in which real and virtual objects are combined creating experiences where user can enjoys at the same visual representations of both real and virtual space. 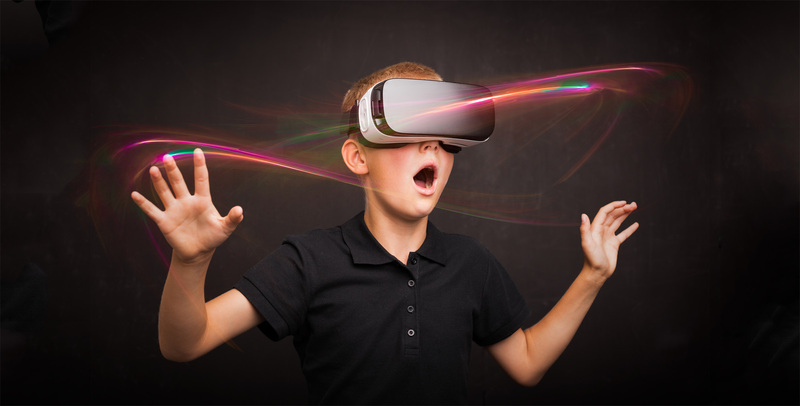 Virtual Reality (VR) refers to all those techniques that allow the creation of experiences tha replicate real or imaginary places and objects and that are accessible through HMD (Head Mounted Display).